It’s 6:30pm when I first arrive. Already, there is a line forming outside the club. There are 2 DT fans from the UK who were waiting since 4pm. 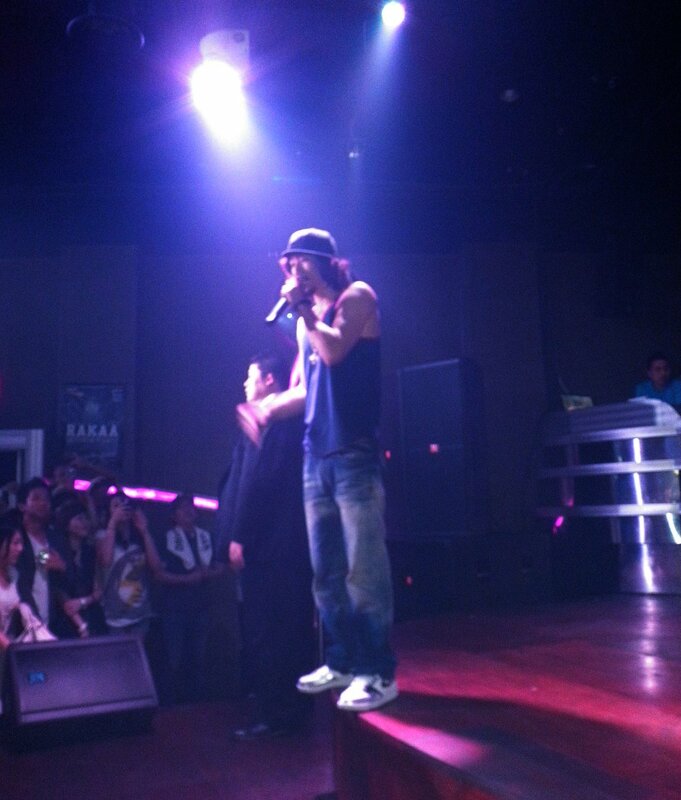 One of them mentions he was a fan since 2000 and said he had never seen JK live. He couldn’t miss this opportunity. Long time dedication like that is truly beautiful. JK and crew arrive at 7:30pm. 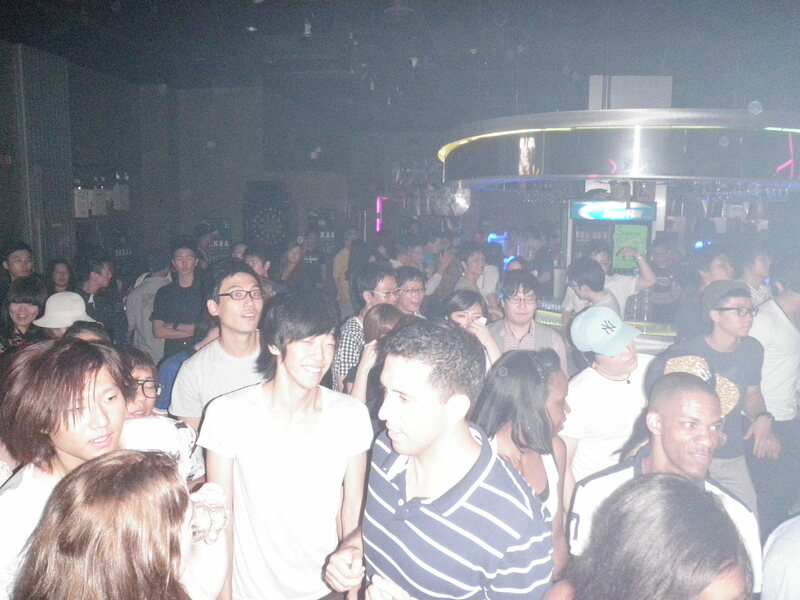 Their infamous black van catches immediate attention as they are rushed inside the club. The fans are teased with the sound of their rehearsal booming from inside. They are given some relief as ticket sales start selling at 8:00pm (an hour later than the scheduled time). Most of the relieved fans go off to dinner before the show starts. After 15 minutes of waiting, the crew finishes their set and are on their way to get ready. 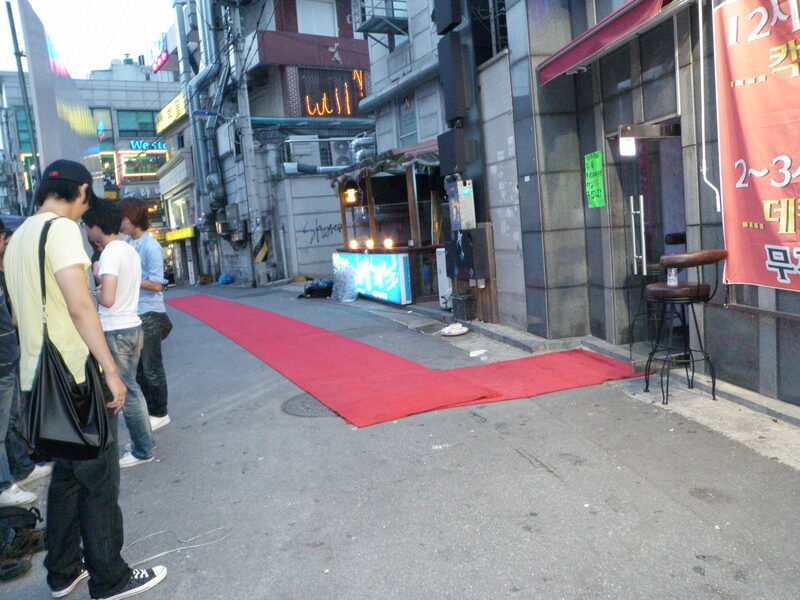 We head off to YangLee Hair, a Hongdae spot that they frequent on occasion. Yang, the owner, is the stylist for a number of celebs and was there to personally handle their beauty needs. As we enter, we see a wall of photos of celebs. At the elevator door is a picture of JK, and we laugh as he stands right next to it during the elevator wait. 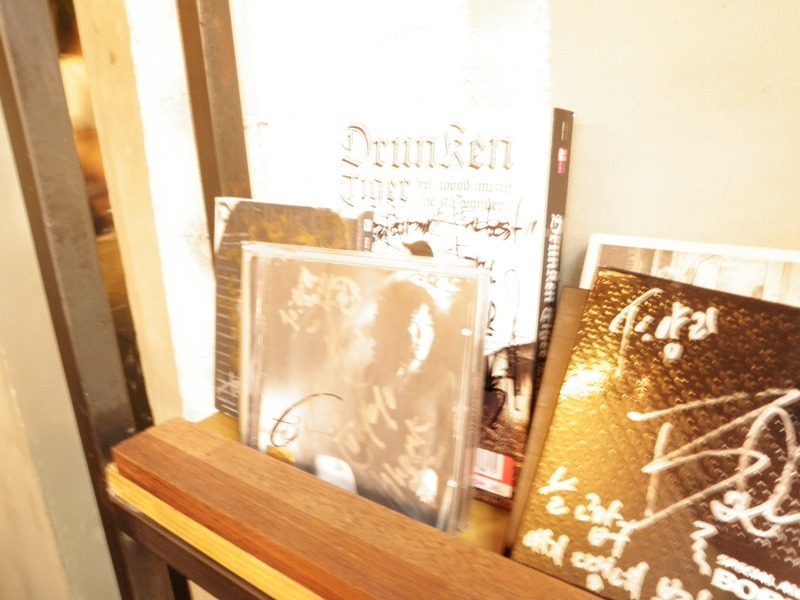 At the back of the salon is a wall of signed CDs, and 2 shelves filled with autographed Movement CDs. Halfway into preparations, everyone stops to take a group photo. 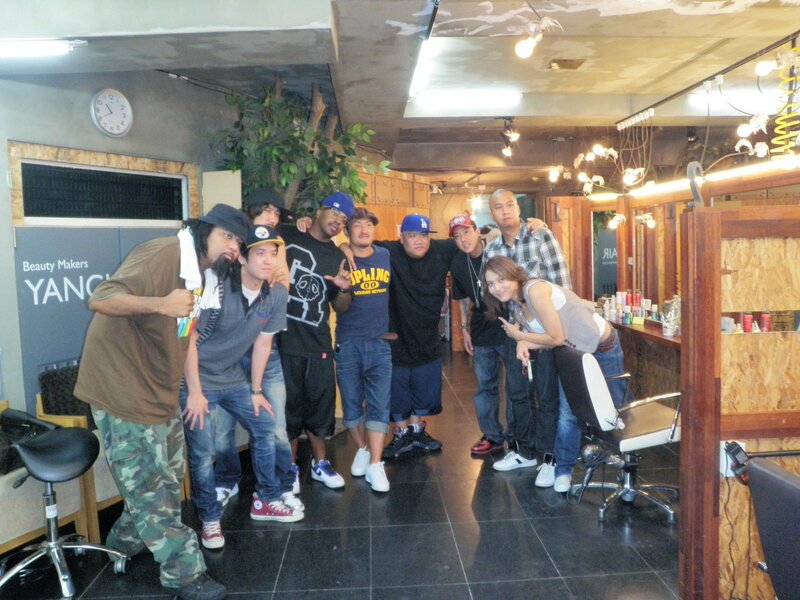 [Pictured Left to Right: Rakaa, Loptimist, JK, Stylizstik Jones, Yang, Roscoe, Techbeatz, !llmind, and Tasha]. As the group puts the final touches on their show, some of us go back to the venue and claim our spot for the night. At 10:30pm, the loyalists of fans have already packed in. It’s a strange scene — a pillar divides the stage. On the left are primarily Korean fans, while the right are a group of non-Korean fans. 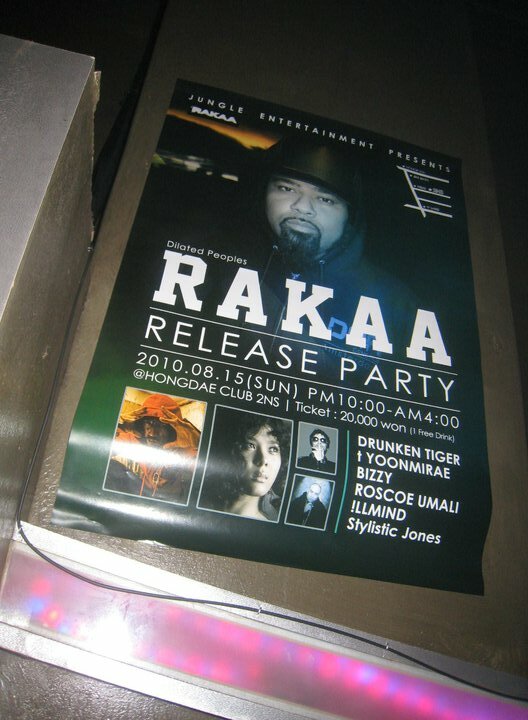 They are there to see not only Rakaa, but some came primarily for JK or Tasha. They’re a sure sign that Jungle has gone truly international. The DJ spins a strange mix of hip-hop and trance. 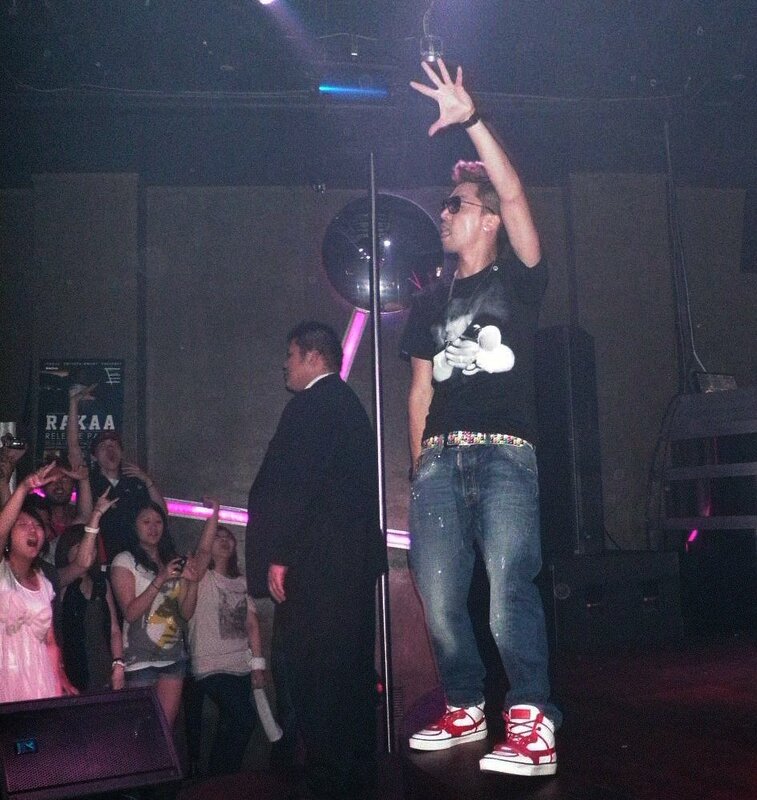 Fans try to dance the time away, but they slowly become impatient and tired. Some are so tired that they choose to sit on the stage. 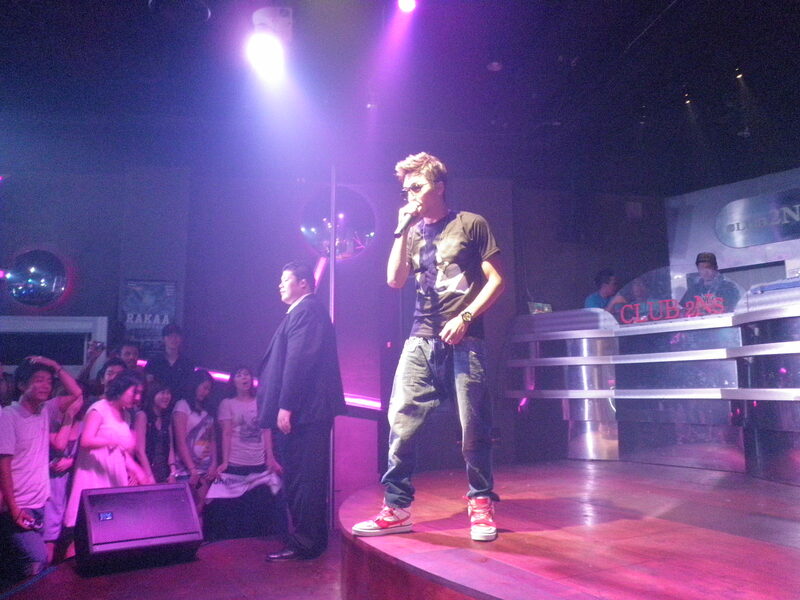 Finally, at 12:30pm, JK comes out to introduce and MC for the night. He chooses to be the official translator as well. J gives the crowd chants to practice and hypes them up. 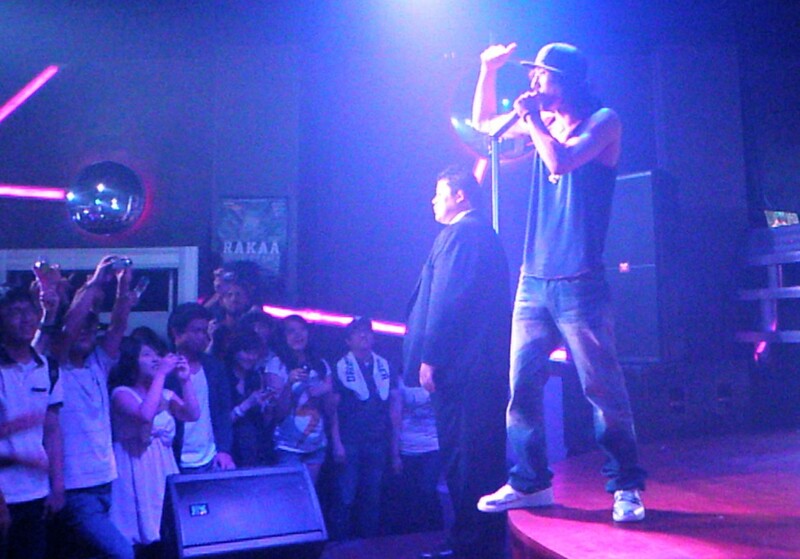 He introduces Bizzy and in pure Bizzy fashion, he jumps on the stage with crazy energy. As he performs parts of YDG’s “RUN” and his single “After the Night We Broke Up (해어진 다음 날),” he rocks the stage with a fire that fills the room. He had just finished a commercial shoot right before the show and couldn’t even go to the rehearsal, but he somehow rocked it out with 4x the energy than usual. Roscoe’s up next with Stylistik Jonez. 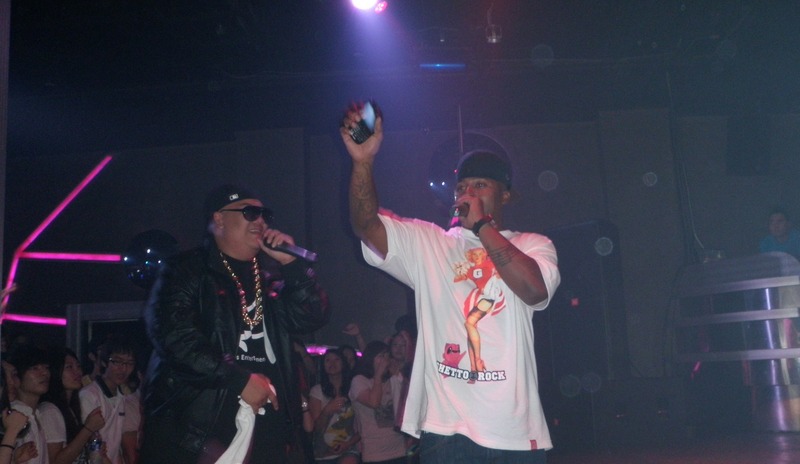 For those who don’t know, Roscoe’s been collaborating with JK since the 2nd album (2000). 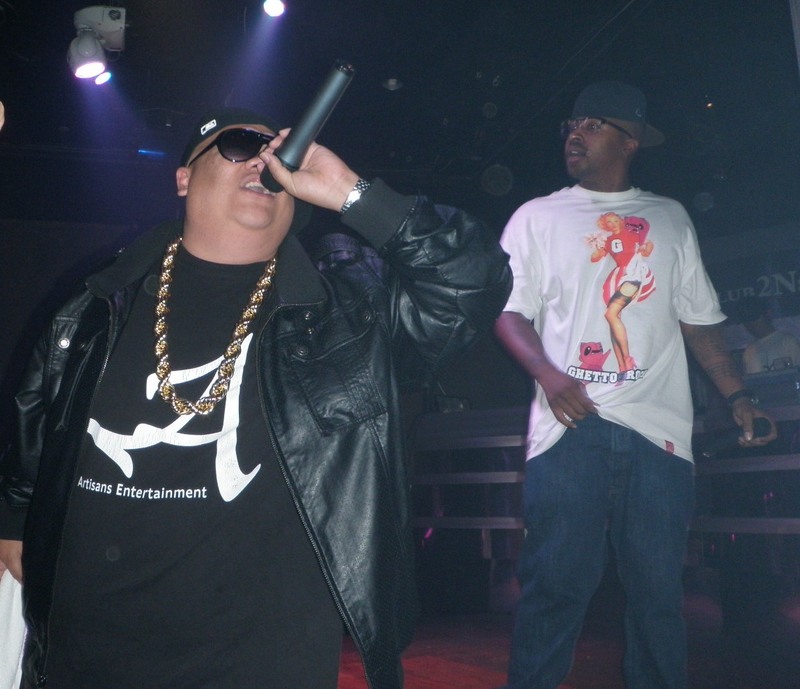 The two met through DT’s old DJ, DJ Jhig, who asked Roscoe not only to drop verses on the 2nd album, but to also help produce it. Roscoe admits that many of the tracks were produced and mixed down in his old house in a few short weeks. 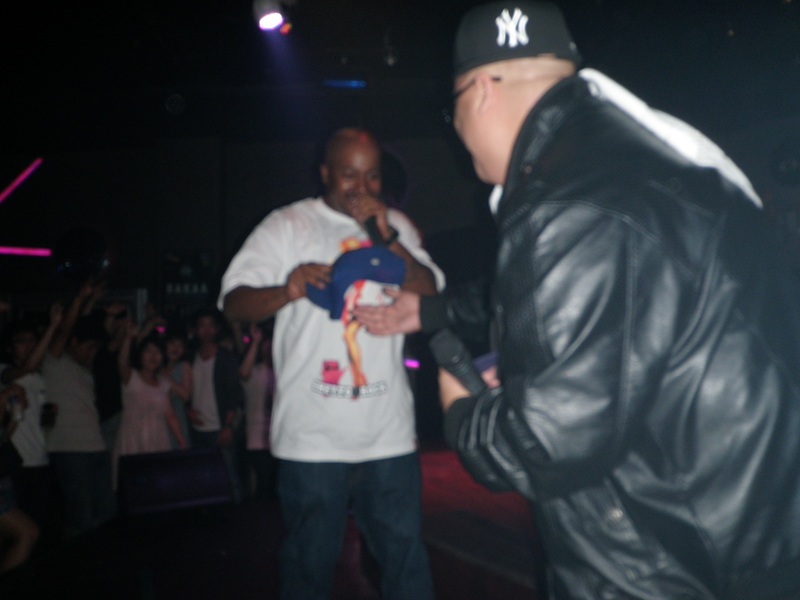 Stylez is a member of the LA collaborative hip-hop crew, Likwit Crew, who are also responsible for recruiting rappers Xzibit and The Alkoholiks. This is what I dubbed “the hat trick.” They brought on a stack of 8 hats and Stylez went through all 8 saying he hated them all. Meanwhile, the fans anticipated they would get one thrown out at them. 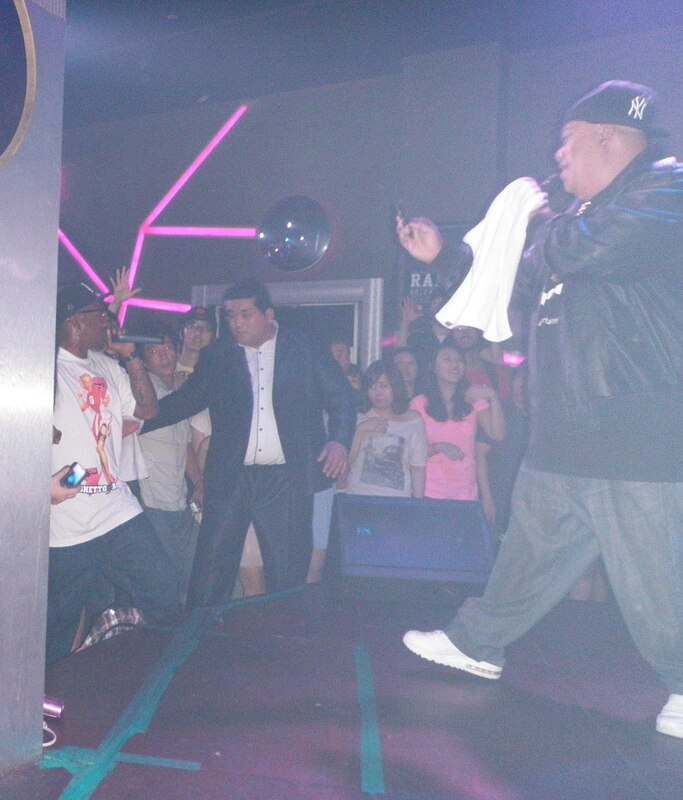 All they got was disappointment as Stylez threw them to the back of the stage.